The purpose of this SSHRC-funded study is to compare and contrast how mentors at local, national, and international levels conceptualize their mentoring practice with student teaching in practicum settings. The purpose of this SSHRC-funded study, called The Emotional Toll of Teaching and Teachers’ Disengagement from the Profession, is to explore how teachers experience and understand obligation, the emotional toll it takes on teachers, and how this emotional toll manifests in teachers’ disengagement from the profession. This project is designed to explore and experiment with ways in which International Study Abroad Programs (ISAPs) might best meet the need to the students involved. A follow-up study of 128 participants who have completed the program between 2014 to 2017 is a part of the research associated with this project. The CITE community is a collaboration of teacher candidates and instructors. Learning to teach is a collective responsibility, and each individual contributes actively in the development of a positive learning environment. In some cases, there are opportunities to enact coursework within a school community. CITE students learn about teaching strategies, methods, and practice, while critically examining the underlying roots of current educational thinking. Within an actual school environment, this can take place while teaching children, receiving advice from teachers, consulting with school administrators, and continuing to interact with course instructors. 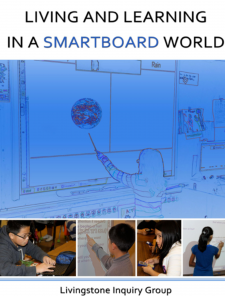 The Richmond school district embraces innovation. CITE is pleased to work in partnership with various initiatives, including inquiring into the use of technology in imaginative and critical ways that support learning. CITE is also a large, far-reaching community composed of current students and past graduates who are now teachers. Many of the latter continue to contribute to the development of the CITE community by advising, providing inservice, and instructing current CITE students. This recursive influence fosters a unique, dynamic, growing community that maintains an ongoing conversation among the profession, the academy, and aspiring teachers. IOP is an annual Conference run by CSTE where practicing teachers, university educators, graduate students and student teachers from different educational contexts (schools, universities and colleges) come together to share their questions, investigations and understandings about their practice. The Livingston Teacher Inquiry Group meet regularly to discuss and explore ideas and approaches to teaching and learning to better understand and provide educational opportunities for their students. The Voice of School Advisors (VOSA) is an exploration of the work of classroom teachers who supervise student teachers on practicum. Phelan, A. M. (2015). 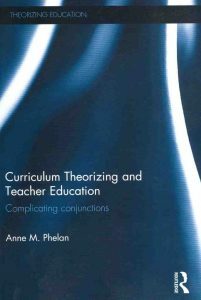 Curriculum Theorizing and teacher education. New York, NY: Routledge. This SSHRC-funded study explored the ways in which teacher inquiry might be used as a professional development strategy in schools. Phelan, A., & Sumsion, J. (Eds.) (2008). 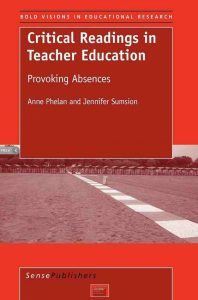 Critical readings in teacher education: Provoking absences. The Netherlands: Sense Publishers. Farr Darling, L, Erickson, G., Clarke, A. (2007). 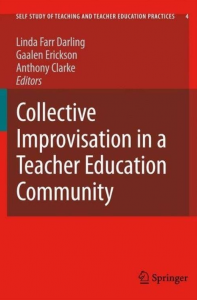 Collective Improvisation: Sustaining a Cohort in Teacher Education. 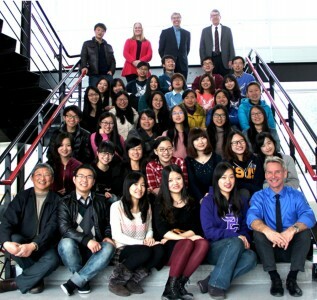 : Netherlands: Kluwer Academic. 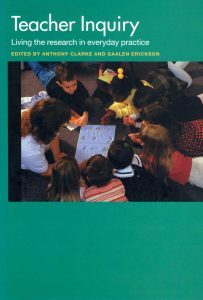 Clarke, A., & Erickson, G. (2003). Teacher inquiry: Living the research in everyday Practice. New York: RoutledgeFalmer. 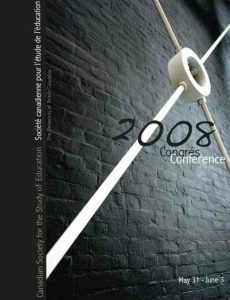 CSTE took the responsibility for Chairing the 2008 ICTR Conference. 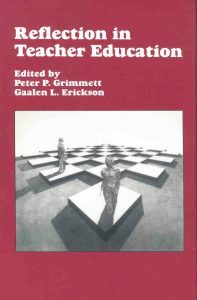 Grimmett, P., & Erickson, G. L. (Eds.). (1988). Reflection in teacher education. New York: Teachers College Press.